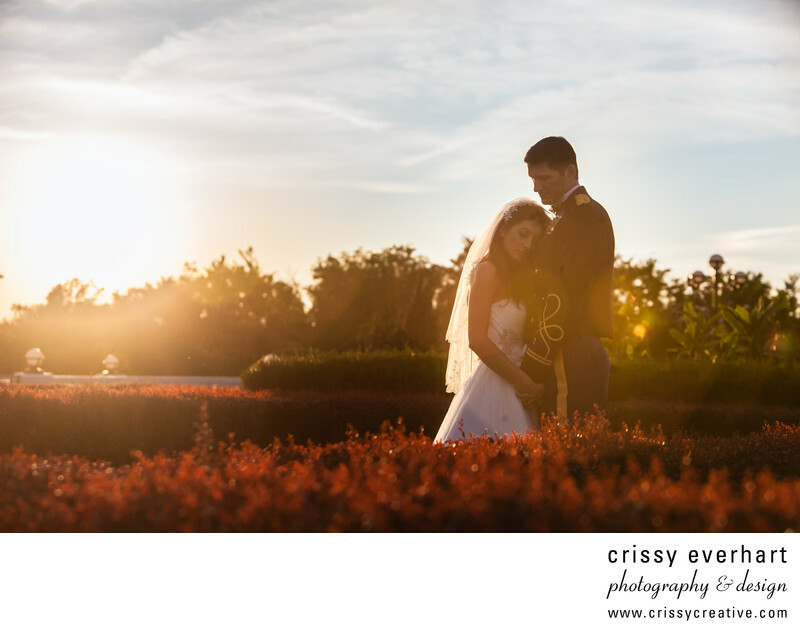 This military groom and his bride had formals taken at the Hotel Hershey. This photo is just before sunset, and features soft light and some lens flare. Location: 100 Hotel Rd, Hershey, PA 17033.